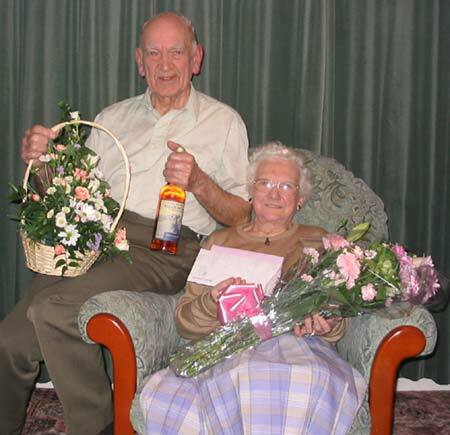 Jim and Madge Andrew today celebrate 60 years of marriage. Jim was born and brought up at Kennethmont and worked for many years as a mechanic at The Garage, Kirkhill. 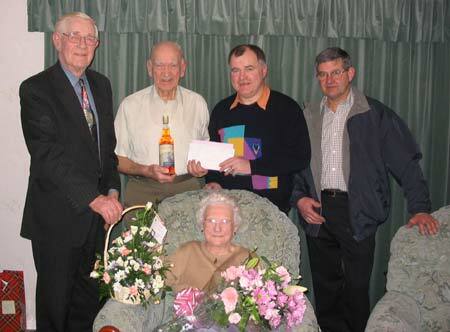 Jim and Marjorie Sinclair married on 10th February 1944 at The Richmond Arms Hotel in the bride's home village of Rhynie. During the day they have received a great number of visitors including The Lord Lieutenant of Aberdeenshire, Angus Farquharson and representatives from Tap O' Noth Community Council and Aberdeenshire Council. 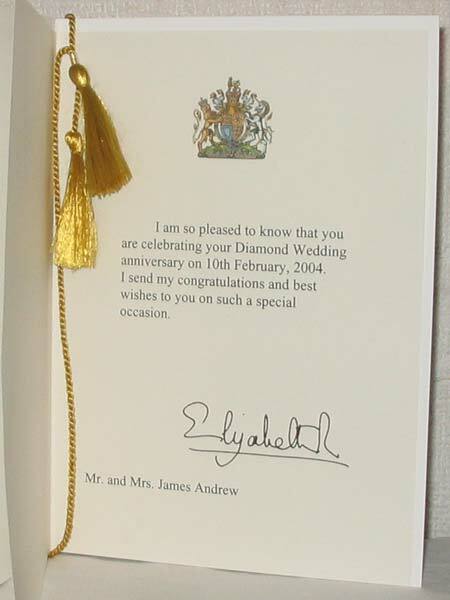 A congratulatory greeting from Her Majesty, The Queen takes pride of place amongst the numerous cards the couple have received from well wishers.